Vélo Vogue: pedicabs in paradise? ... as well as the parking lots in front of the ballparks (in case the walk to your car is toooooo long, God forbid)! Only in America! 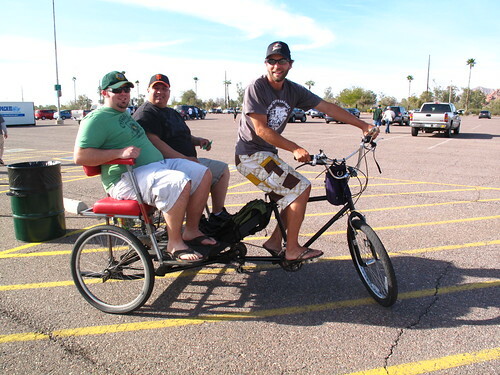 Lesson #1 - biking to the ballpark would keep your bod looking like a baller's! 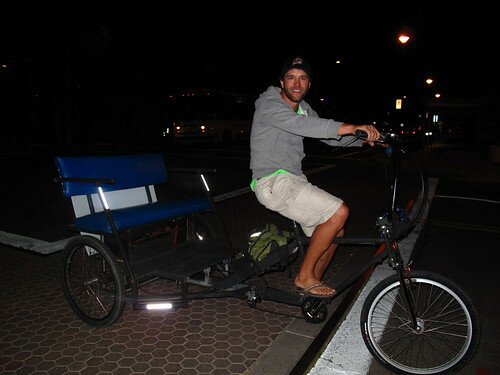 Pedicabs are wonderful! While in Tempe, AZ in January I saw one w/ a fur lined cab. No idea if it was faux fur or not but I thought it would make a cozy ride after dark when the temperature drops. 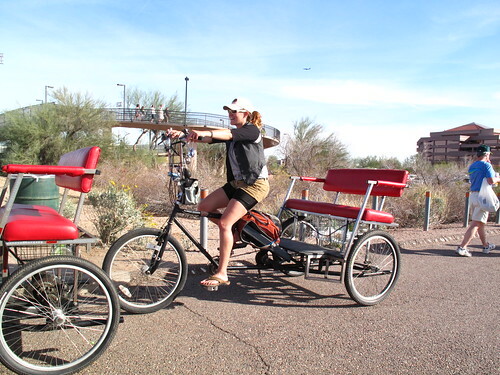 There were so many pedicabs in Tempe! I had no idea it was such a biking city! A furry pedicab sounds cozy indeed!